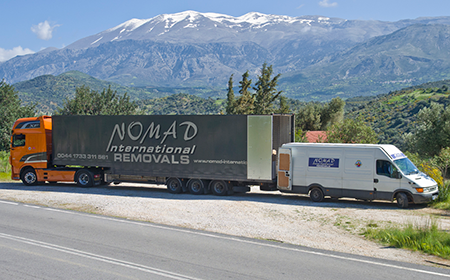 Nomad is clearly the best choice for removals to and from Greece and Italy. The many benefits of choosing Nomad are listed below. 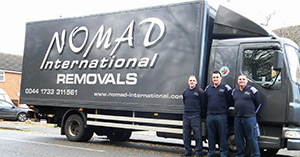 Nomad are the experts in moving to and from Greece and Italy. We are a properly-trained, BAR-registered removal company and we do all of the work ourselves from door to door. We are real specialists in removals to Greece and Italy. In contrast, most companies who claim to specialise in Greece are either “virtual” removal companies who subcontract out all of their deliveries or small unregistered operators (not BAR members) claiming to have experience in removals. Our teams have extensive local knowledge and a great deal of experience in moving to these wonderful countries. We are well-equipped to handle the particular challenges involved in accessing remote locations and ancient towns, giving our customers the confidence that we will manage their entire move smoothly and professionally. We have been moving people to this part of the world for more than 15 years, and we have hundreds of happy customers. Because we utilise our own vehicles, NOT shipping containers, freight forwarders, or general haulage contractors, our service is fast & secure. In the current economic climate this is very important. As a member of the BAR, Nomad International is covered by the BAR Advance Payment Guarantee within the UK and Europe. This means that if a BAR member goes bankrupt while your goods are in transit, your payment is protected. Furthermore, the BAR will endeavour to arrange another removal company to take over the job and complete it for you. It is very good protection in the current economic climate. If a non-BAR member company goes bust while your goods are in transit, there is nothing you can do. Membership of the BAR is important for other reasons too of course. This gives you the confidence that you are dealing with a professional, regulated company, with fully-trained staff and proper insurance protection available. You can see from the the extent to which BAR member companies are monitored (every year) and the standards they have to live up to. In contrast, companies who choose not to be members of the BAR are allowed to operate however they choose, despite what they tell their customers. Our transit time can be as low as 3 days from the UK to Italy, 6 days to mainland Greece and 7 days to the Greek Islands. In contrast, shipping containers can take up to 16 weeks to reach these same destinations. Container ships do not stay within the EU so goods must clear customs when they arrive at the port, causing further delays. Our direct overland service avoids these delays. Once the necessary information has been collected we will prepare all other required paperwork. As our service operates overland you will not be required to visit customs to release your goods or asked to complete any other documentation. Furthermore, we will deliver your goods to your door, rather than just to the port. And we will of course carry them into your home, rather than just to the kerb side. Our prices are based on the actual volume used, rather than container (20′ or 40′), or pallet space (m2), making our service extremely competitive. You only pay for the space you use. We are larger than man-and-van operators, so we are able to offer a more frequent service at a lower price. As specialists in Greece we are usually even able to offer better rates than other removal companies who are subbing the job out to a network of agents! And yet our service is far, far better. Our team will professionally export-wrap your furniture, large electrical items, glassware, china and delicate goods to protect them during transit. Alternatively for customers undertaking their own packing, we have created some videos to demonstrate the principles of packing and wrapping to BAR standards (insert link to the Packaging page). You can even purchase packaging materials directly from the BAR if you like (), or you are welcome to buy them locally if you prefer of course. If you have any questions about packing please dont hesitate to ask! But for the best outcome it is always best to have the experts do it for you  your Nomad team can professionally wrap and pack everything for you on moving day, taking a lot of the stress away. Once a collection date has been agreed our expert fully uniformed crews will arrive to collect your goods. If you have booked a full wrapping and packing service your Nomad team will wrap and pack everything for you. Once your goods have been prepared they will be carefully inventoried & loaded into the collection vehicle & returned to our UK warehouse ready for departure. 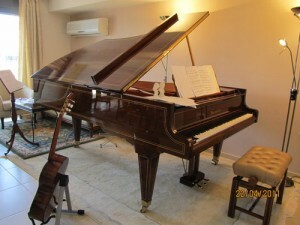 We regularly transport antiques and fragile items like this £25,000 piano (see from Mr Kypri). We are also equipped to transport motorbikes, cars, boats, machinery and many other unusual items. 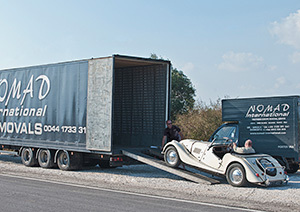 Weve transported all-terrain vehicles, scaffolding, whole stone bathrooms, lots of flat-packed furniture, lots of spa baths & swimming pools, canoes, antique train sets and many other things for our customers in Greece, and the list is growing all the time! We can collect items like these from your home, or if anything is being purchased brand new, we can receive the delivery from the retailer at our warehouse for you. Were always happy to help with unusual requests, just ask us if you have any questions. Nomad uses articulated vehicles with air-ride suspension to carry your goods in optimum security & safety. The economical use of our high capacity articulated vehicles allows us to maximise our efficiency and keep our prices very competitive, while ensuring the smoothest possible ride for the goods we carry. Drivers remain with their vehicles throughout the journey. 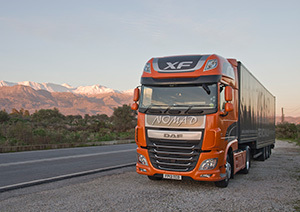 The latest addition to our fleet and the main international workhorse is a Euro 6 DAF XF with full electronically controlled air suspension  one of the most economical trucks on the road, allowing us to reduce the carbon footprint of our removals while maintaining superb delivery timing and on-road reliability. Nomad has developed innovative solutions such as purpose-built on-board porter vehicles for the movement of household goods & personal effects. These fantastic vehicles ensure that we can access even the most difficult-to-reach destinations. While larger sea containers would more often than not have to be accessed at the port and trans-shipped by the customer to their intended destination (sometimes kilometres away), Nomad will be able to bring your goods to your door. This procedure provides peace of mind door-to-door for a stress-free move. One of the best features of our service is that we handle all of our deliveries ourselves, using our own trusted team members. We always conduct our deliveries all the way to the customers door (not the kerbside, and certainly not to the port), and then carry everything inside into the appropriate rooms. If you have chosen the full un-pack service your goods will be carefully un-wrapped and associated waste material will be removed and returned to the hub for recycling, although we find that most of our customers prefer to take their time with unpacking in their new home. 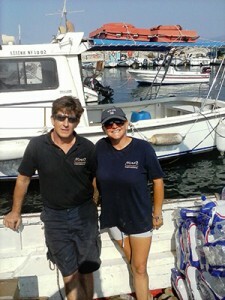 Our service is highly recommended, largely because of our superb team members, both in the UK and in Greece. Whether you are moving to or from Greece or Italy, you can trust that our trusted professional staff will be there to make the move much easier for you. Our excellent storage facilities are at your disposal should you require storage for your goods. We can accommodate any quantity for any duration. Even in Greece if storage required as part of your international removal we can accommodate this request through access to excellent storage facilities. 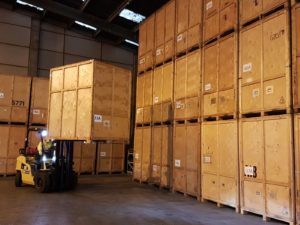 We also offer secure storage facility at our UK warehouse for customers wishing to reduce costs and bring their own goods to or from our store. We can also accept deliveries from retailers or eBay / Amazon sellers directly at our warehouse on your behalf.